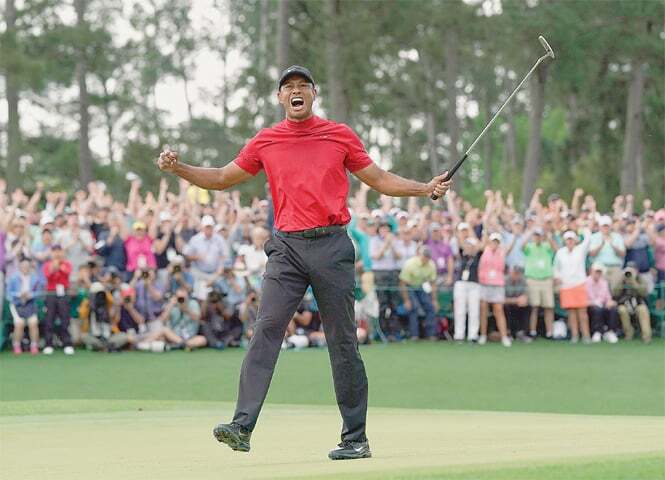 AUGUSTA (US): Tiger Woods completed one of sport’s great all-time comebacks to end an 11-year major title drought at the Masters on Sunday by claiming a fifth Green Jacket. Unsurprisingly, the triumph also renewed talk of Woods making a run at Jack Nicklaus’s record of 18 majors. The victory also marked the first time Woods had reached the winner’s circle at a major without leading aft`54 holes.